I would say they are not green, and it's probably brown. I would assume sexing is very similar to other geckos, which is easy to find online through a bit of google searching. Here's a picture of the Med. 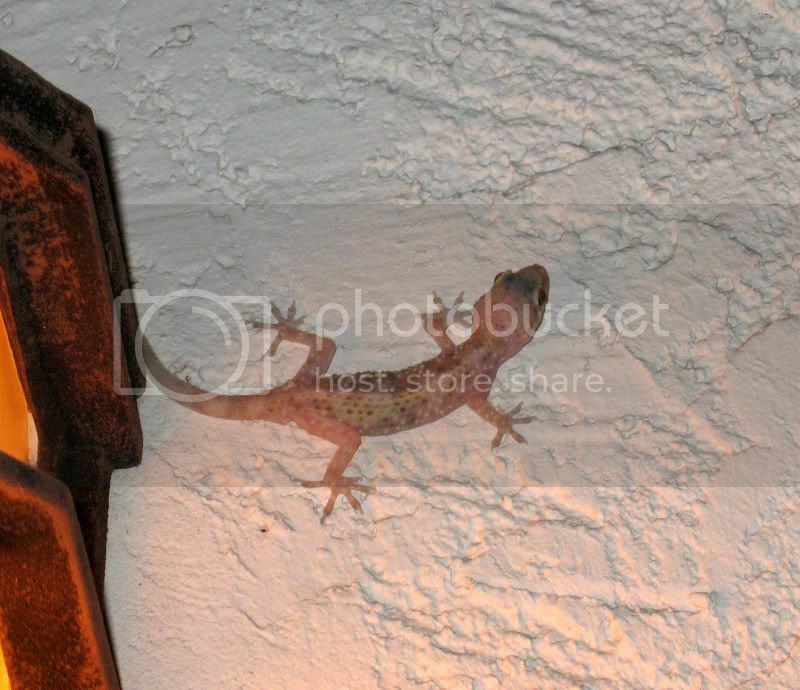 House Geckos outside my house. I'm pretty sure the one here is a juvenile.